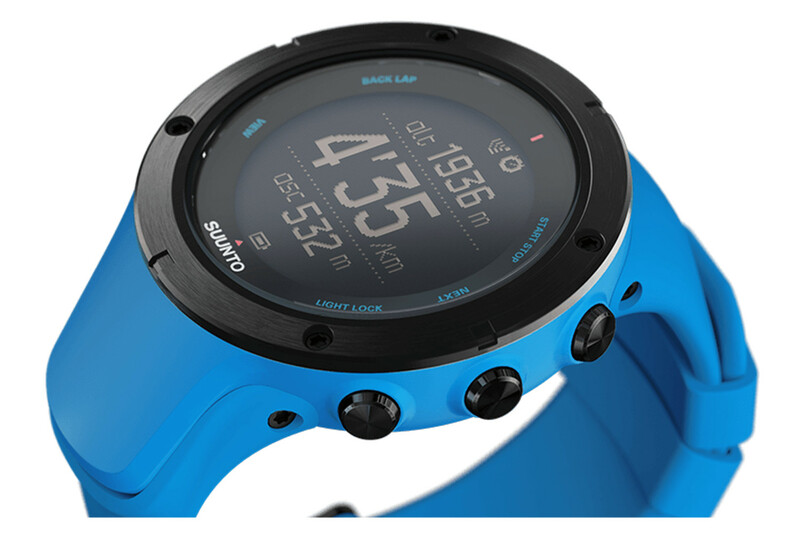 The Finnish company Suunto has designed a new generation of called Smart Watch: Ambit3. It is currently available in three different models: the Peak, the Sport and the Run, however they have each feature clean, more or less suitable for certain activities. So, how well to choose his new show smart Suunto? Let us explain! The Ambit3 contains all the physical model Ambit2 attractions came out in 2012, but do not be fooled by its appearance, it is a new generation with improvements and features innovative. In the beyond of these three new watches Ambit3 compatible Bluetooth® Smart (not yet), two applications as well as a belt of heart rate (compatible with the objects of the brand) are also available. The “Suunto Movescount App” allows of synchronize and download of workout programs customizable, but also to share your “moves” registered on social networks. She will also act as a notification Center (sms, call…). In addition it will be possible to display the information and the different screens of the watch on the smartphone. Of course, the smartwatch/PC wireless connection will be provided. 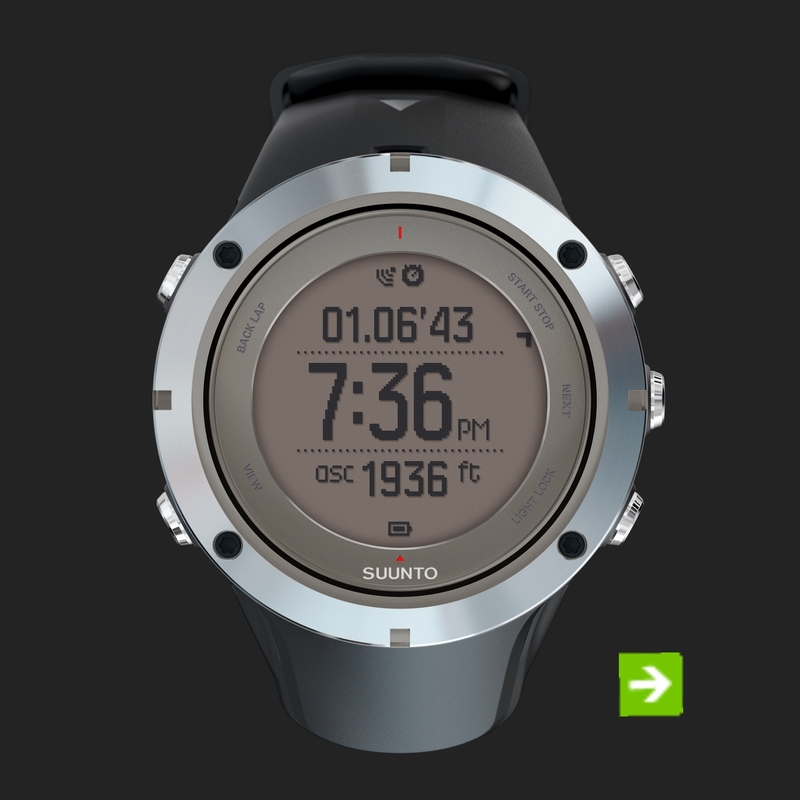 The second application is called ‘ Suunto Movie ‘, and here this concept may attract more than an athlete. In practice, adding photos taken during your escapades athletic or all simply elsewhere (internet, friends…) you can make a small movie of your sporting activities, and the whole 3D please! “These days, most people practice several sports and prefer to have a multifunction watch rather than different watches for each of their activities.” They also want to instantly share their adventures and their sports results with their friends. At the same time, the need for understanding more holistic wellness and recovery appears. We respond to these wishes and needs with the connected family Ambit 3″, explains Mikko Moilanen, the CEO of Suunto. This first model caters to adventurers or fond people a little more thrills than normal. Lovers of hiking, mountaineering, cycling and even swimming (it is waterproof up to a depth of 100 metres) will appreciate the accuracy of its statistics (including GPS with an accuracy of 1 second) as well as its guidance and navigation system, which can display up to three pieces of information simultaneously on the screen. Equipped with a battery of a autonomy of 30 h, a compass 3D, an altimeter, a barometer, a sharp weather system as well as a tracking of activity and recovery device, the Suunto Ambit3 Peak will lead you and will accompany you everywhere you want. Its small size (50 x 50 x 18 mm), weight of 89 grams, his bracelet in elastomer, its bezel in steel, as well as its protective mineral crystal glass will make the most pleasant, but also the strongest sports sidekicks. Only downside? The beta for Android seems not quite to the point and drag even the leg compared to Apple. 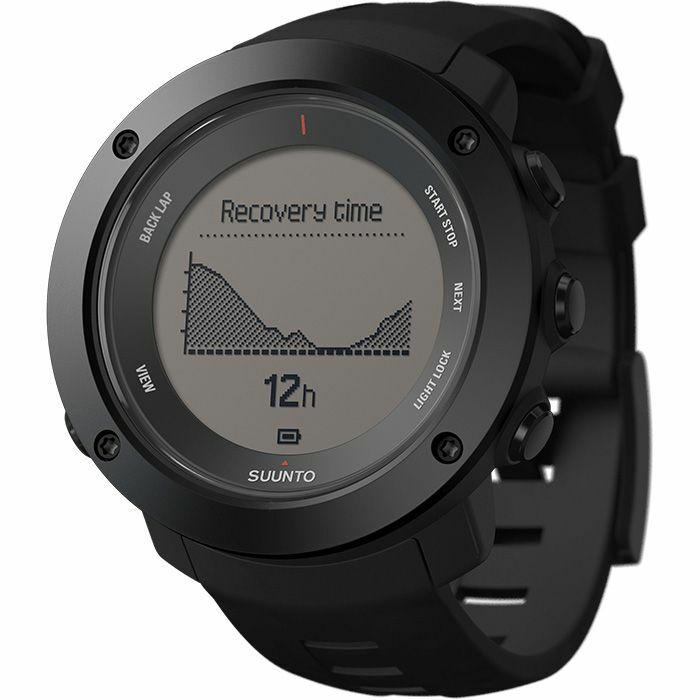 There are three distinct versions of the Suunto Ambit3 Peak: the Black Peak, Peak HR as well as Peak Sapphire Black. 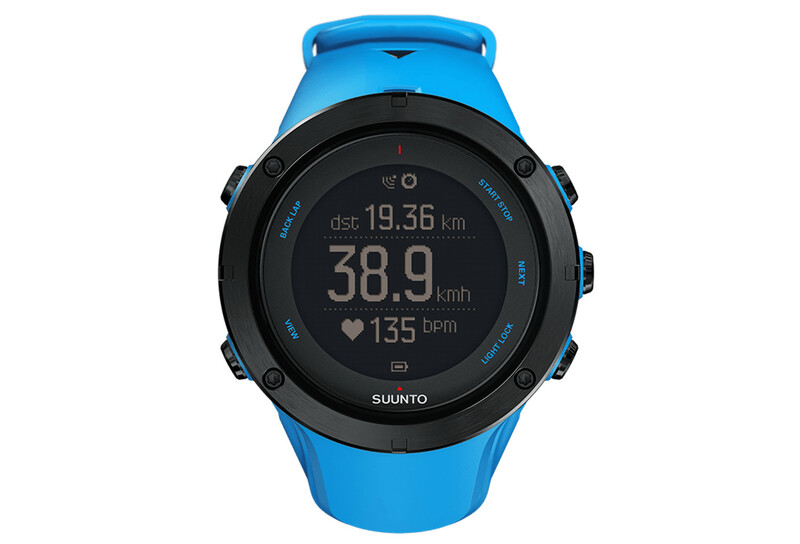 The first being not equipped with belt to measure heart rate (Suunto Smart Sensor) will be available at the price of € 400. For the second equipped with this technology, it will take € 450, and finally the last made with different and more resistant materials (silicone bracelet and sapphire glass crystal) to expected € 500 total… not bad for an almost guaranteed life watch. The watch comes with the USB for charging of the battery, the quick installation guide (141 pages what) as well as the warranty booklet. 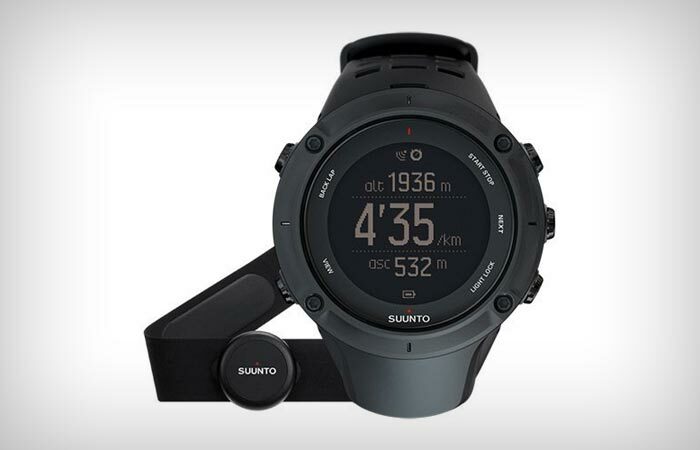 Perfectly designed for multi-sport athletes, the Suunto Ambit3 Sport combines all the features you need for the race, from swimming to cycling and training outside. That it or simply to improve your performance or to accompany you on a daily basis, the Sport model will bring you all the necessary information while leaving you free of your choice. Thanks to it you can track your physical activity, your recovery time (depending on your effort), but also your speed, cadence and distance you have travelled. She is totally water-resistant to 50 meters of depth, and includes a GPS, a compass, a very precise navigation system as well as a barometric altimeter. Being more oriented multi-sport daily, it also offers a training planning device (with a bonus vocal assistance). 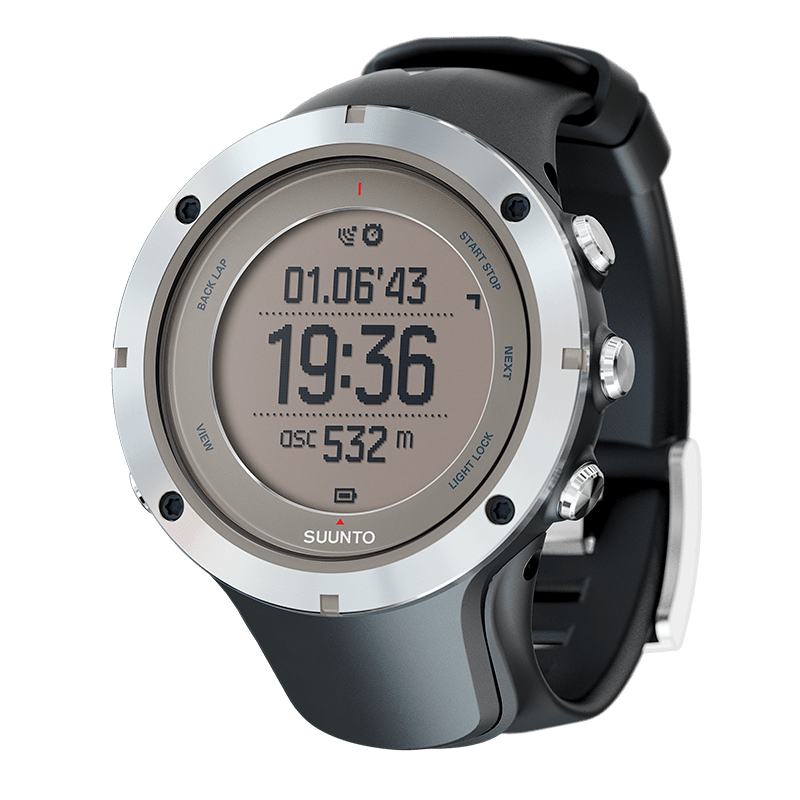 The Suunto Ambit3 Sport measures 50 x 50 x 15.5 mm, weighs 80 grams and offers a battery life of approximately 15 hours. His bracelet is made of silicone, its steel and polyamide bezel, and its mineral crystal glass. This watch is available in four different versions: the Sport, the Sport HR, the Sapphire and Sapphire HR. 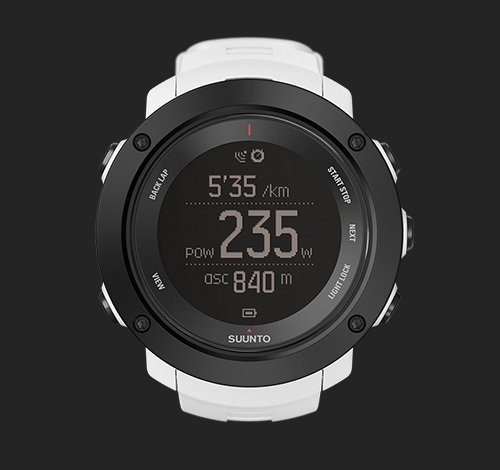 As in the range of the Peak, the Sport has no heart sensor Suunto Smart Sensor and therefore costs €350. However, its Variant HR offers this option for the sum of € 400. 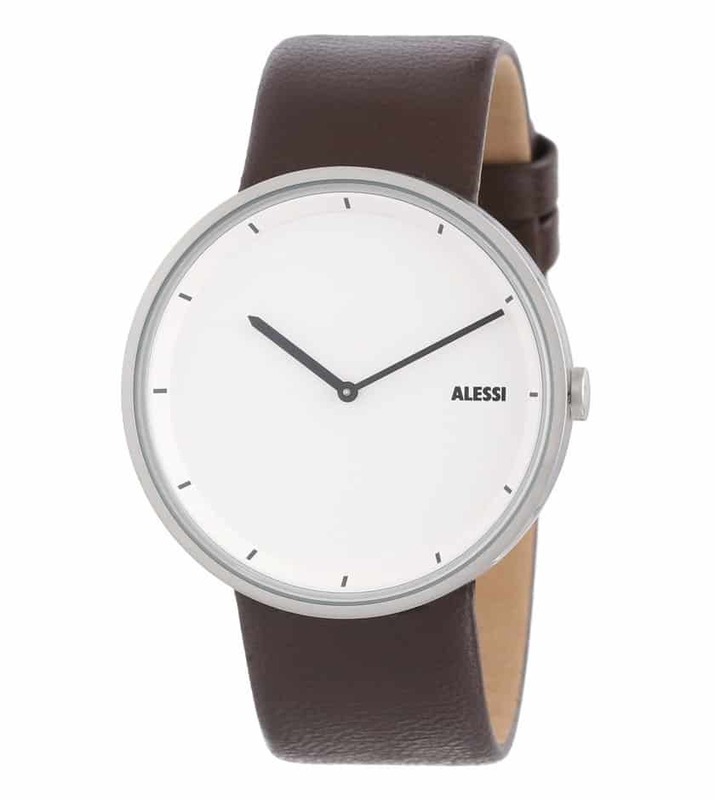 Following models manufactured by Sapphire Crystal and slightly heavier weight (86 g) exactly follow the same pattern of marketing than others, count €450 for the Sapphire and € 500 for its HR version. 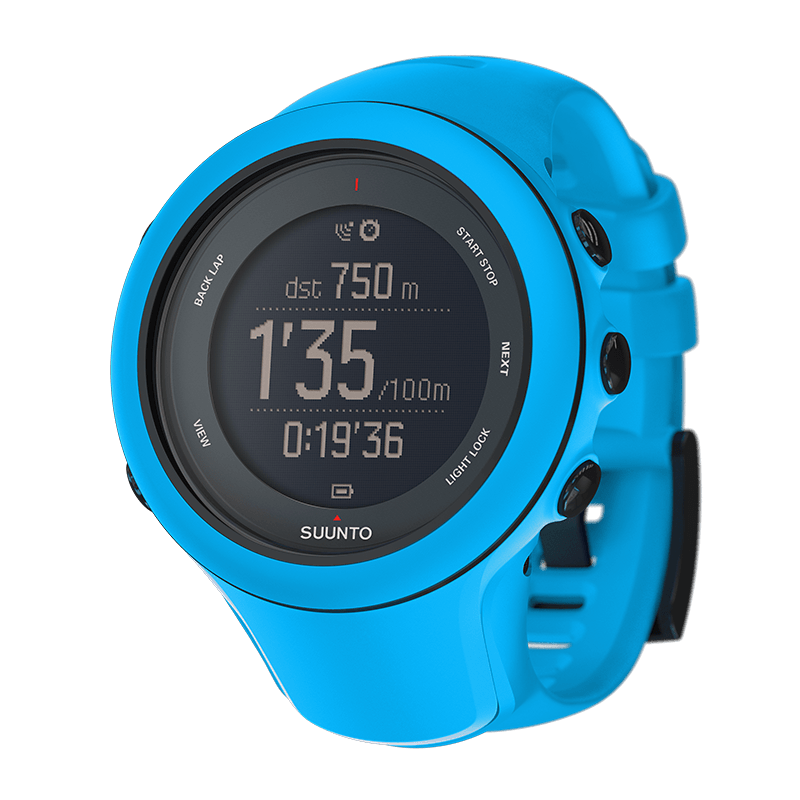 Suunto Ambit3 Sport comes with the charger, its installation guide and its warranty booklet in addition five different bracelet colors are offered for sale: black, blue, white, red and green. This watch is addressed specifically to the regular riders, wishing more than a simple training. It integrates a GPS, an altimeter, a sleep and recovery system in connection with the exercises, a follow-up of the speed, pace and distance, but also, a planner of training always with voice support option. As all the watches for raw who respect themselves, the latter includes a feature of tracking of energetic, expenditure and a heart rate sensor. These data related with the Movescount application allow to develop custom sports sessions, for example if you are more focused on speed, chrono modes will be offered based on your results. The model Run weighs 72 grams, measures 50 x 50 x 15.5 mm and remains waterproof to a depth of 50 meters. His bracelet is made from silicone, its polyamide bezel and its protective mineral crystal glass. The Run is available in three different colors: Green, white and black, and costs € 250. 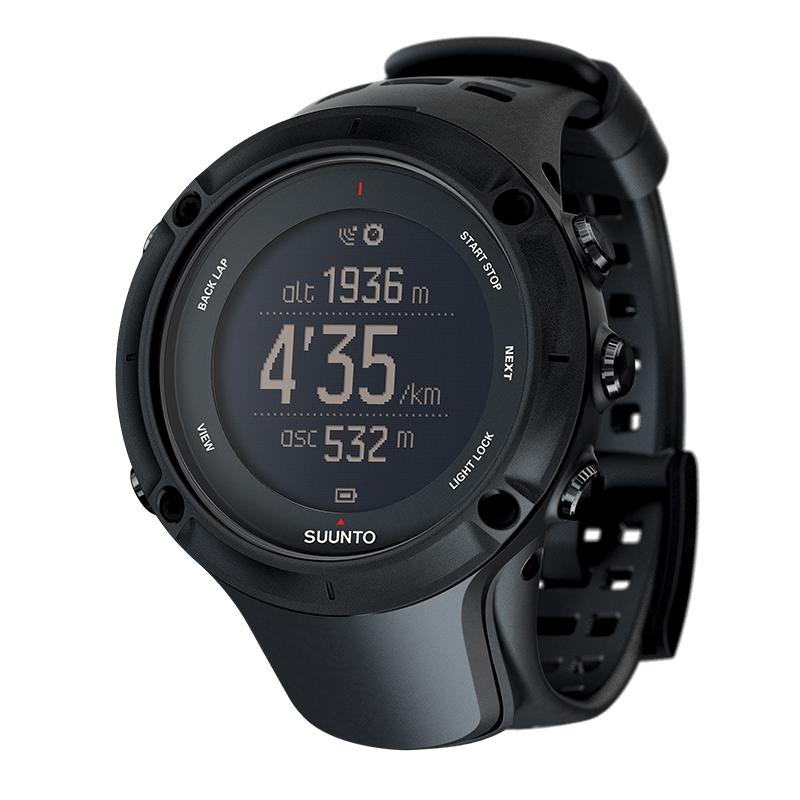 A HR version, besides offering the Suunto Smart Sensor belt to allow you to analyze your data even when you swim, has also been designed for the sum of €300. 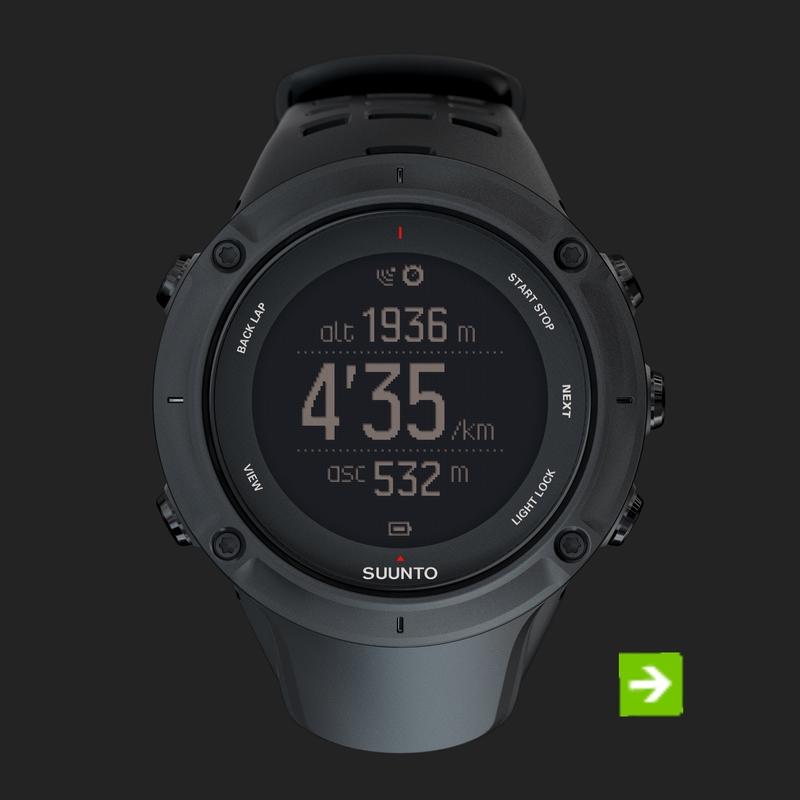 What Connected Watch Suunto Choose? Well it depends on your major sports activities. These three watches share many features for good sports, but they still have each specific device. The model Peak specifically for the hikers and climbers of high altitude, however it may as well be suitable for runners and cyclists practicing their activities at the same height. His GPS data and precise weather will allow the boldest to properly prepare their somewhat wild escapades. The Sport version seems perfectly appropriate sports regular followers of various physical activities. Whether it’s running on foot, bike or off-road course, the features offered by this last will fill the athletes, looking for the perfect personal training. The latest model, the Run, is his perfect for neophytes from running. Indeed its performance measures, its recovery as well as its heart sensor system will be the best friend, seasoned raw. Indeed as you may have noticed, all of its watches offer a HR version , including with the latter, the belt heart rate Suunto Smart Sensor. The latter can be used to record your performance when you swim, but the data received on the phone will not be real-time, since Bluetooth technology meets some difficulties at work in the water. But this accessory can also be used for quick recovery and tests available on Sport and Run (Firstbeat) sleep recovery. By creating a version for Apple and Android, Suunto wanted to ensure that a maximum number of consumers can turn to their concepts of smartwatch. Despite prices relatively high (a Fitbit with cardio costing € 250), the generation Ambit3 is relatively well positioned in the market of connected watches for sport. Extremely comprehensive in its features, new models are for athletes concerned about balance connectivity and health. 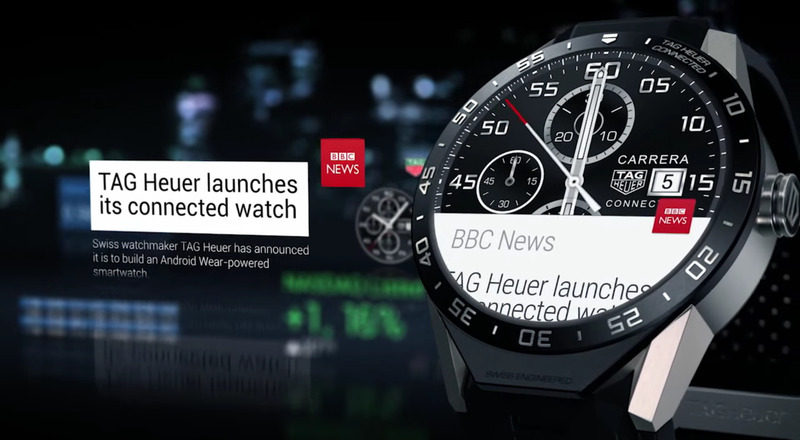 Being able to display screens of the watch on the smartphone, is now more a ‘hub’ that a simple shows connected. Being able to share almost immediately, his recent experiences on the larger community movescount, brings also a huge more to the company Suunto. 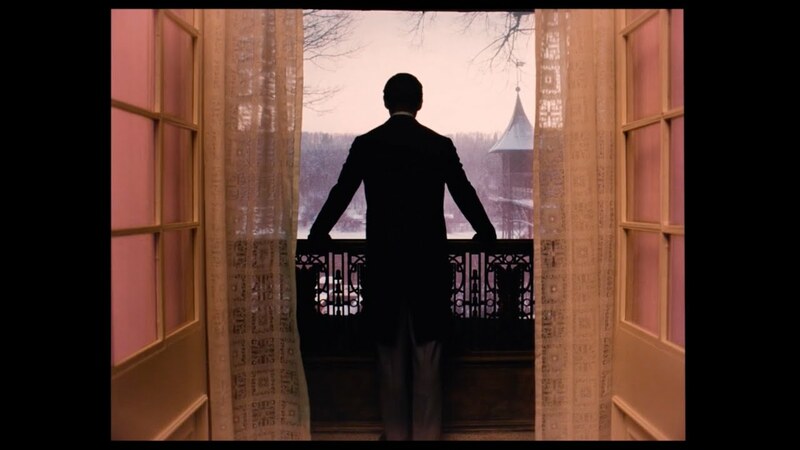 Be able to create his own movie in 3D from photos or those of others should still once attempt more than an athlete.